It’s almost February which means my next favorite holiday will arrive soon after…Valentine’s Day! I’ve said it for years….I love LOVE! I love celebrating those that I love and mean so much to me. Josh and I are really good about going out on dates regularly, meeting for lunch, and taking vacations alone (in between family vacations with our children). But on Valentine’s Day, we make sure to spend it with our children and celebrate as a family. So many parents I’ve talked to say that it sounds like a fun idea but are not sure how to make it a fun family tradition. 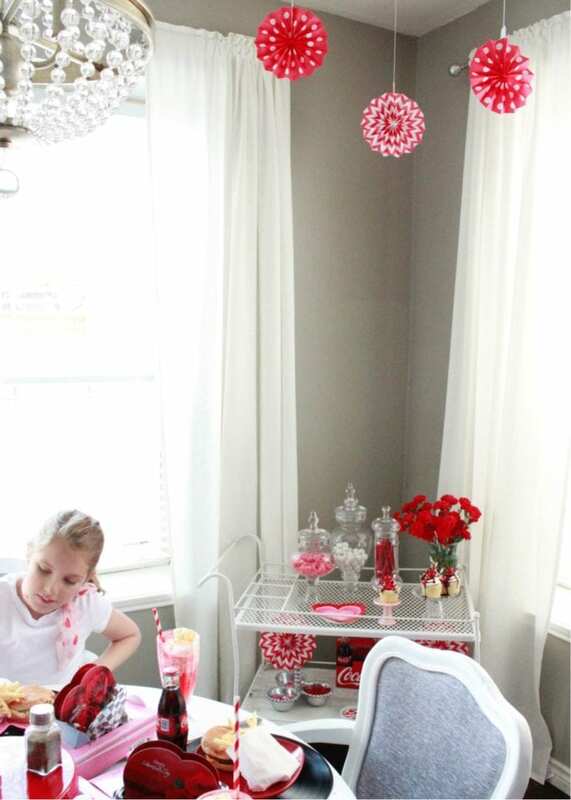 Well, today I’m solving that problem and bringing together some of my favorite Interior & Lifestyle Bloggers, that also happen to be some of the sweetest and most talented mothers, to share with you 11 Kids Valentine’s Party Ideas to do at home. What a FUN tour, right?! Make sure to get your fingers ready to tap and pin each of these posts to Pinterest. 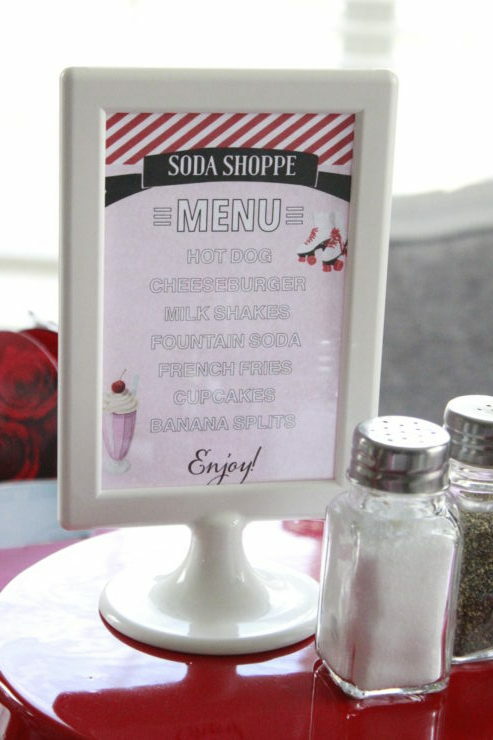 Welcome to my friends who regularly visit AND big welcome to those of you visiting for the first time and are coming from Erin at Sunny Side Up. Didn’t you just love Erin’s ideas? She is darling and always so creative and talented. 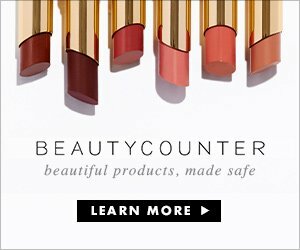 I love the warmth and love that oozes out of each blog post of hers. I wanted to use everything we had and not spend much. I only purchased a few little fun things. 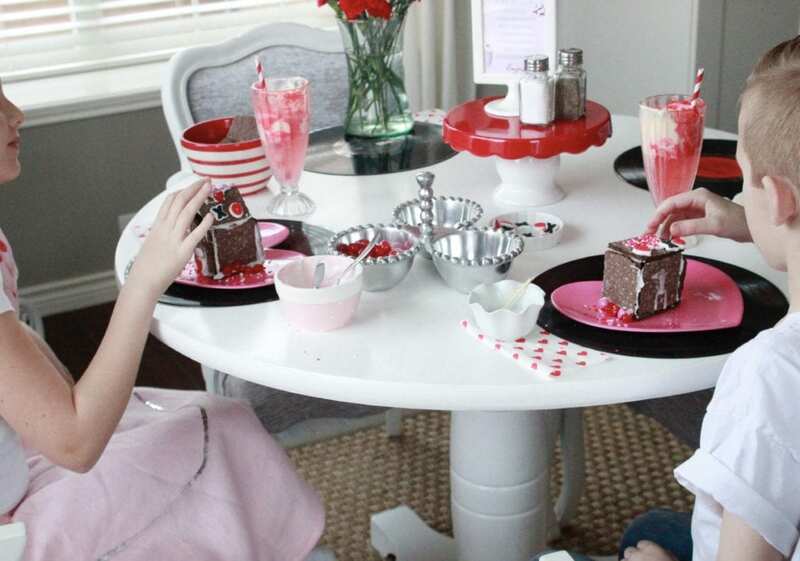 We had poodle skirts (I’ve got them ready to go at all times ha ha), we had a vintage tea cart and soda glasses, and we had some vinyl records from another project I did. So we just needed food and music and games and we were set! And instead of using our Dining Room, I decided to keep it quaint and stay in our kitchen nook, on our little round white table. It seemed more fitting somehow. Oh, I should point out that even though all 4 of us were present, my husband passed on the photo ops for this party and stayed with me behind the camera and, while I had my poodle skirt on, I opted out of being photographed because I’ve got a horrible cold and it shows. You’d thank me, if you could only see me ha! I grabbed some old vinyl records that I’d purchased at The Salvation Army a while ago for $1 each and used them as chargers. 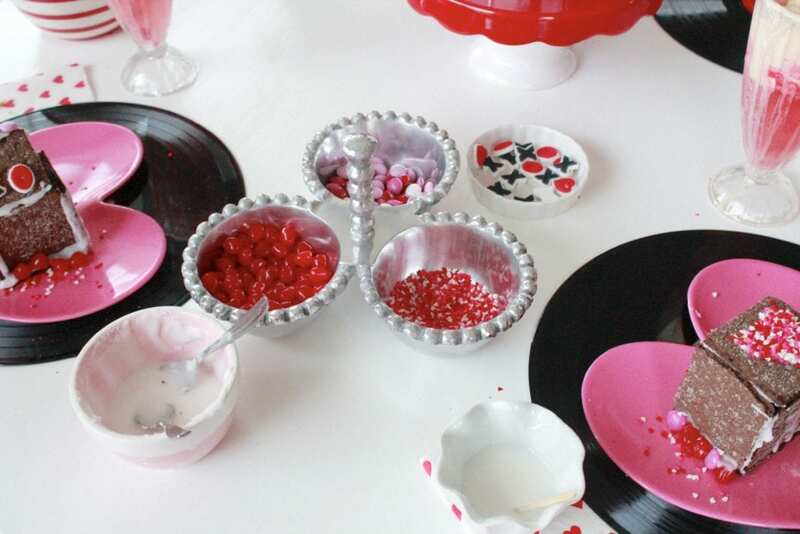 I’ve had red and heart plates that I’ve collected over the years and heart napkins as well. I kept this party simple and ran to Whataburger (a Texas favorite but you can also choose In-N-Out) and grabbed some burgers and fries, just the way we like ’em. 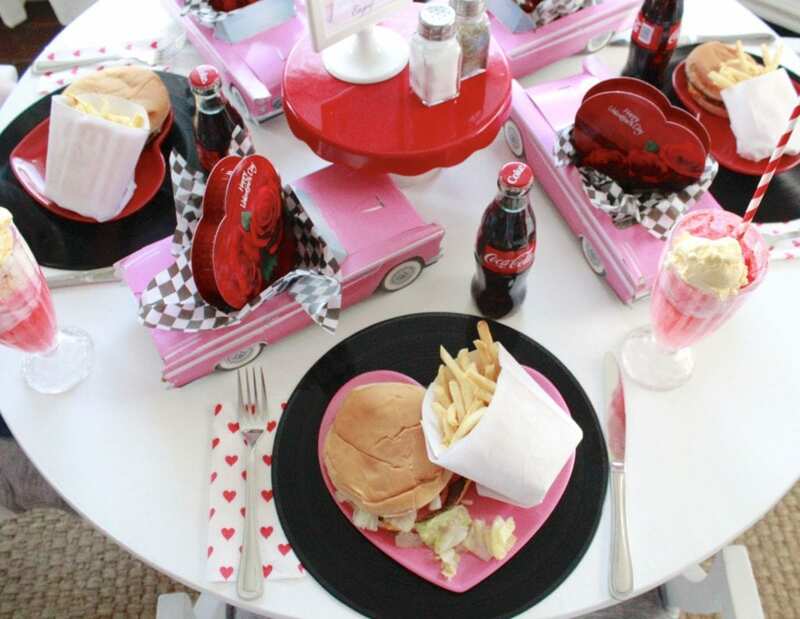 I used a small cake stand from the Target Dollar Spot for the middle of my table to act as a pedestal for my retro diner menu and salt & pepper shakers. 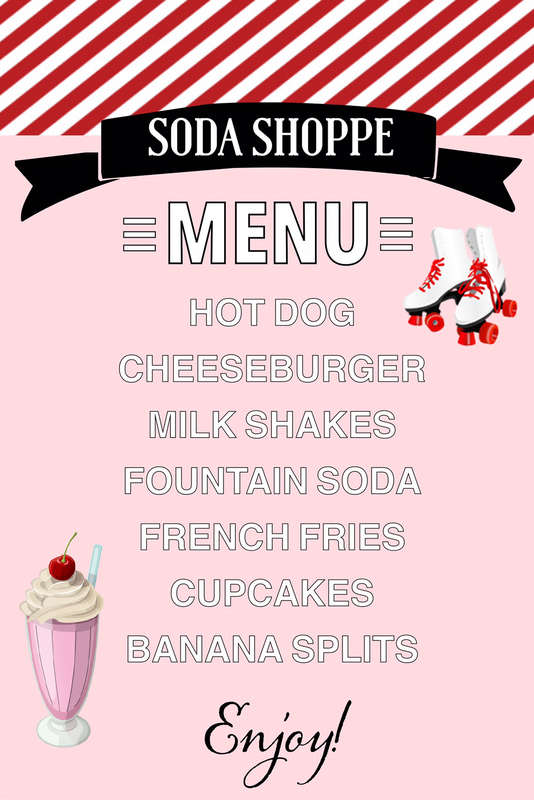 I’m sharing this FREE PRINTABLE I created on Photoshop for this retro diner menu with you (for personal use only, copyright laws apply). I found the sign for less than $2 at IKEA and they always carry them. 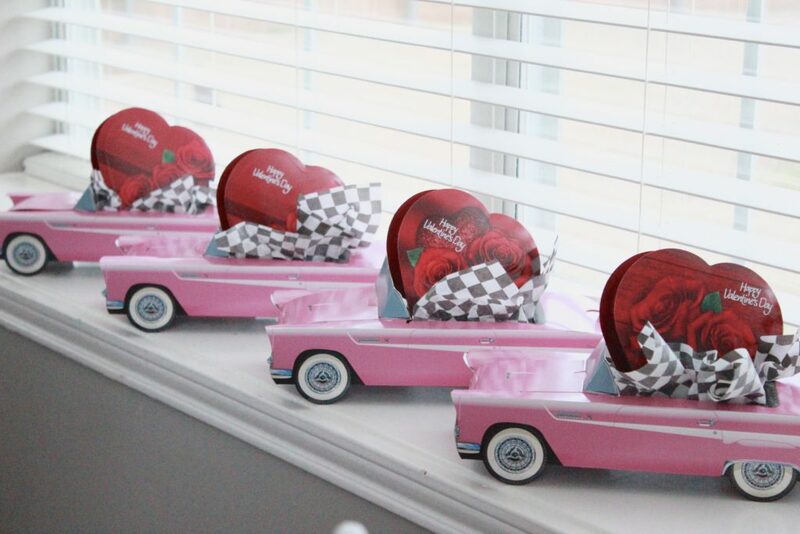 One of the things I had to order (because they added so much and were just sooooo cute) were these Classic Pink Cadillac Party Food Boxes and placed a box of chocolates in them for each member of our family. You could also add cookies or popcorn or candy, etc. They are so fun, aren’t they?! Included is the cute checkered tissue paper. No 50’s diner would be complete without Coca Cola bottles and milkshakes. While I had intended to make strawberry milkshakes, we had some strawberry Fanta soda and vanilla ice cream so I just made these yummy Strawberry Soda Floats. Easy peasy and sooooo yummy! 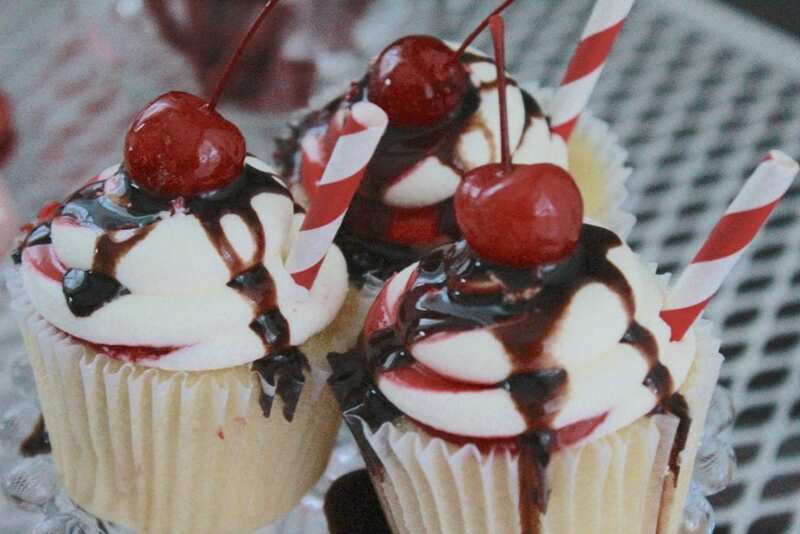 As far as milkshakes go, I grabbed some yummy cupcakes from my grocery bakery and added chocolate syrup, maraschino cherries, and cut off part of a red-striped paper straw to look like a milkshake. Milkshake cupcakes….that’s what we’re calling them and they were terrific. 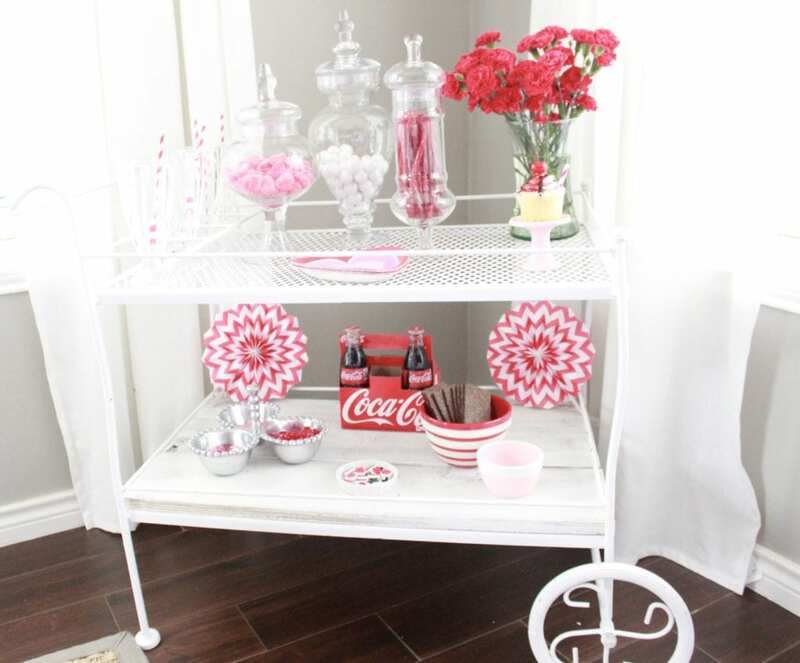 This vintage tea cart has made an appearance over and over in our family parties and we use it often to entertain or to hold our hot cocoa bar (search hot cocoa bar or tea cart on my blog to see all the ways I’ve used it). 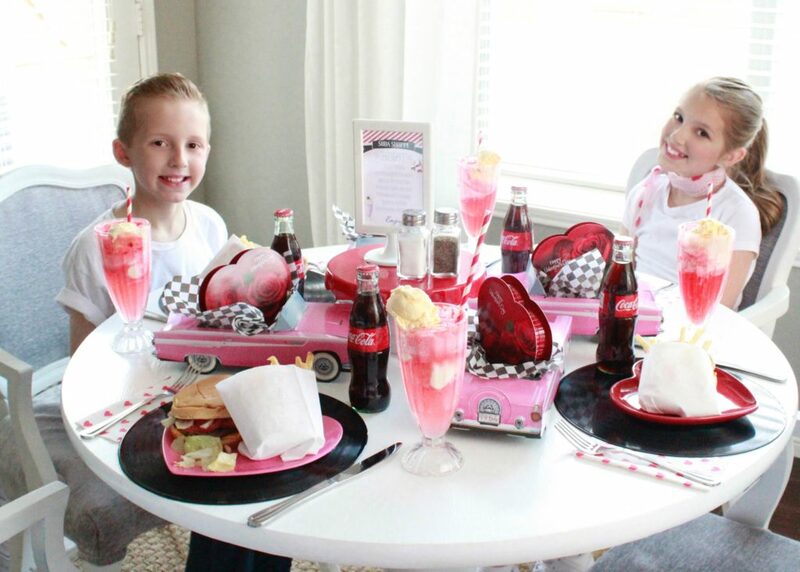 Iam so glad I had it for my Soda Shoppe Valentine’s Family Night. After dinner, we grabbed those chocolate graham crackers off the bottom shelf of the cart and all the fun candies and we made…..
….LOVE SHACKS!! (cue music) Oh, and of course our “jukebox” (a.k.a. Alexa, our Amazon Echo) was playing all of our my favorite 50’s music that I created on a playlist. Mixing a little water with powdered sugar until it’s really thick makes the perfect “cement” to put together your Love Shack. While Brooklyn was trying for a more traditional look, Beckham had had enough and went for a more adobe-looking Love Shack….like something we’ve driven past on our drives through New Mexico. Ha! 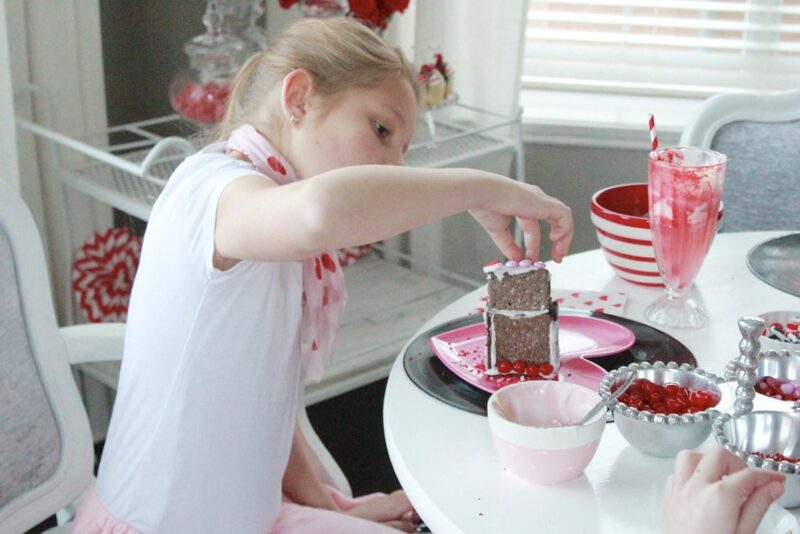 Let’s face it…all they care about is finishing it so that they can pick off the candy or eat the leftover candy. But it was so fun. Of course, NO party is a successful party in The Adams’ Home without a dance party. 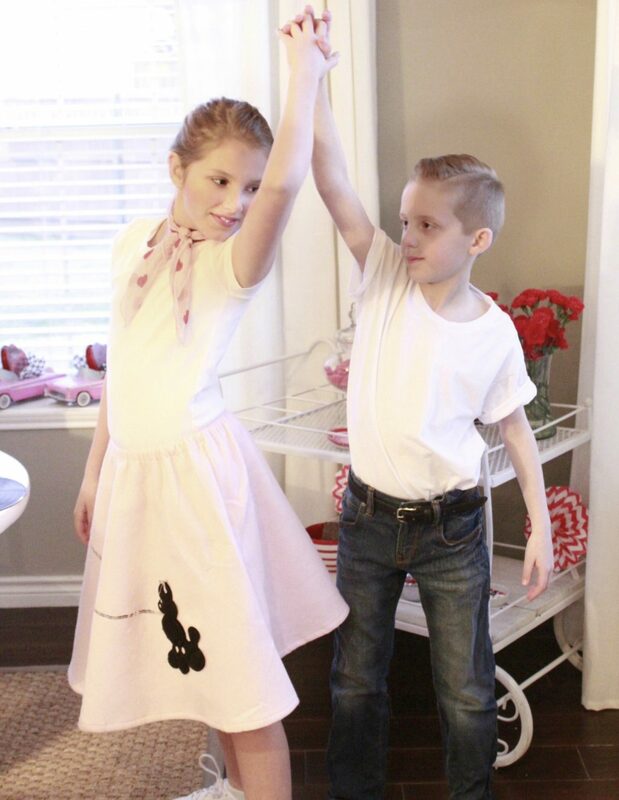 The sun was setting too so it was the perfect time for a sock hop! Aaaaaaand….they are gonna kill me one day for sharing this, I’m sure, but I can’t help myself. 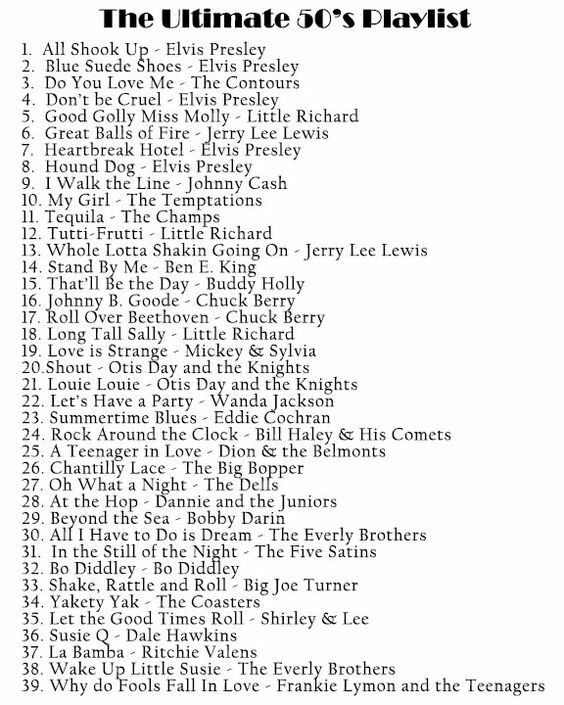 Our playlist for the night included the soundtrack from Grease and also many songs from this list I found online. Oh! And “Love Shack” of course! 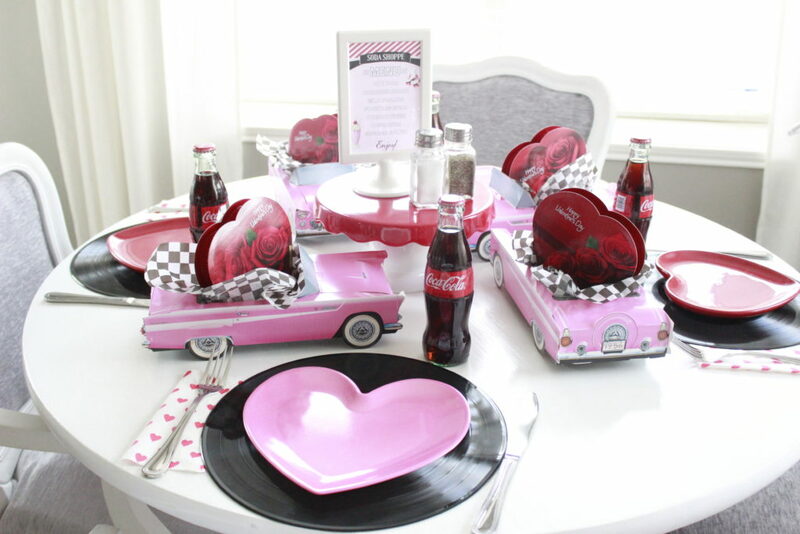 These 50’s tunes are PERFECT for a retro Valentine’s Party! Here are the items or similar items used that I’ve linked below for your shopping convenience and to help re-create this Soda Shoppe Valentine’s Family Night. 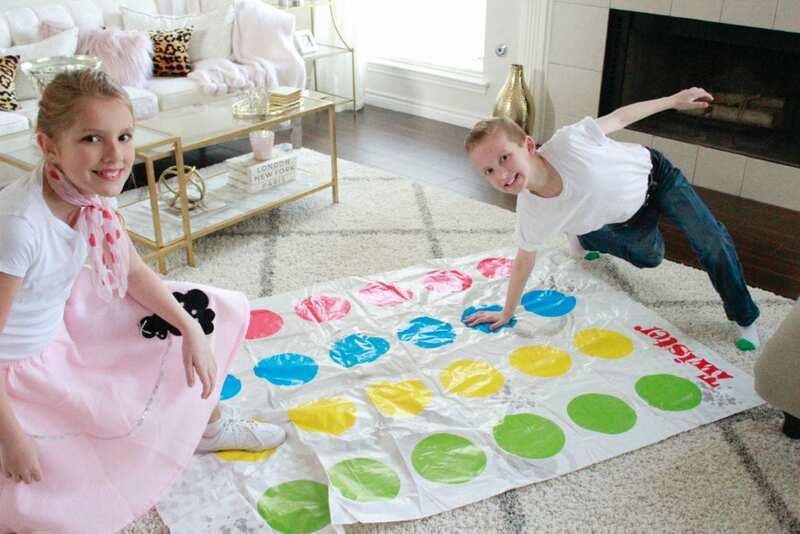 NEXT PARTY —> Head on over to see what my amazing friend Annie at Zevy Joy has in store for you! Every post of hers just melts my heart and I always look forward to the next! Wishing you the Happiest Valentine’s Day, celebrated with the one(s) you love most! How fun is this. I love it all. What a fun family night. Thank you so much, Marty! So glad you love it 🙂 thanks for stopping by! This is SO cute Summer!! My kids would love this! Totally putting a party like this together for them! Darling Summer! Your kids are adorable!! Summer this couldn’t be sweeter nor creative!! I would have LOVED that growing up! I would love it now and in fact, I will be doing this our family… Thank you so much for having me as part of such a wonderful tour, xo!! How Fun! 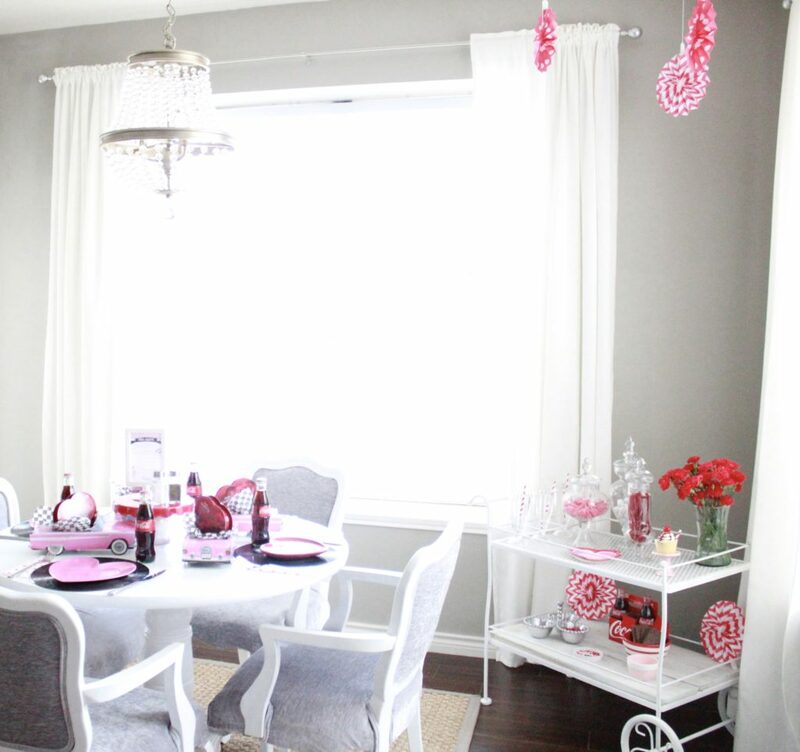 I have been decorating the house for Valentine’s Day too! I love this holiday! Be sure and stop by my blog to see what I have done. Excuse the huge pics but if you click on one then it lets you browse the pics in small form. Have a great day. Oh Summer! What a darling post!! I can’t get over every single detail here is so fun and creative!! 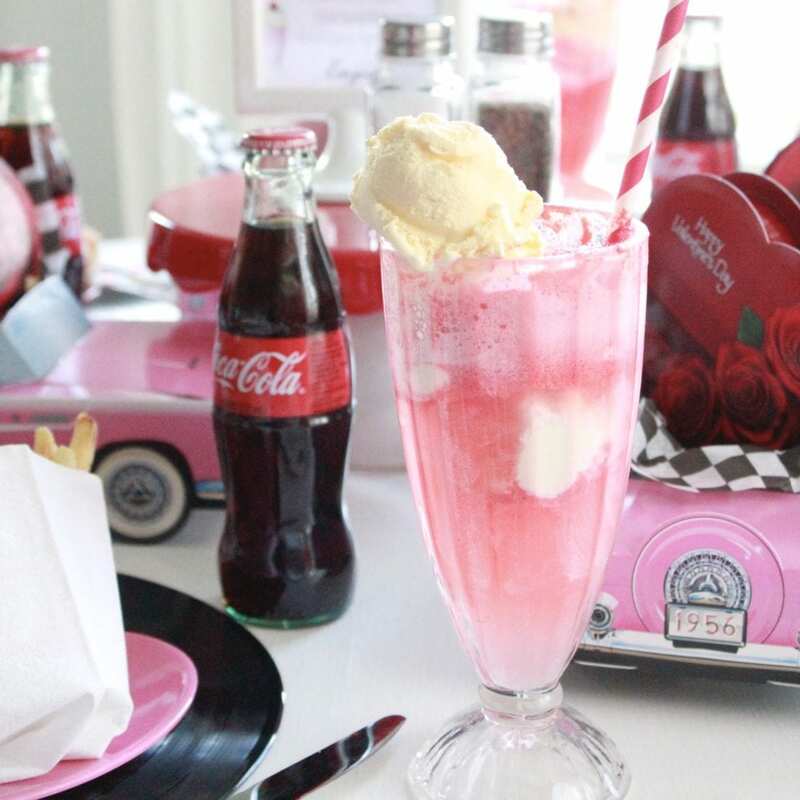 I especially love the pink Cadillac’s and the cupcake milkshakes!! Totally brilliant, Wei!! You are sooo creative!! So darling! I’m changing this idea up a bit for my daughter’s birthday party. Thanks for all the pics! Can you tell me if the printable link is working? I can’t seem to download the menu. Got it. The link wasn’t working for me, but I was able to get it by clicking on the picture itself. 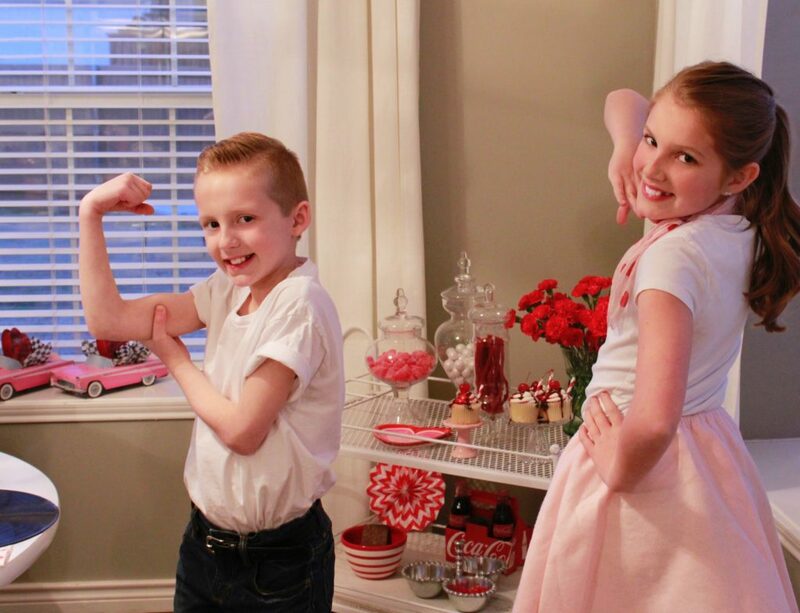 Excited to throw a 50’s party for my daughter’s birthday this weekend. Thanks for the inspiration.